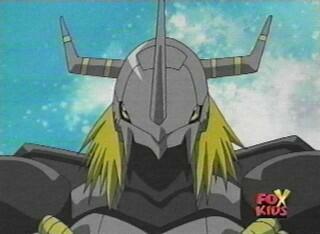 Digimon Emperor- The Digimon Emperor was the new enemy in 02. Equipped with his black digivice, he placed a lock on digivolving, so digimon would be powerless against him. Then with his dark rings he can turn good (Vaccine) digimon to his evil minions. His dark powers amplify the power of his dark digivice. So the power of the lock of digivolving remains even when he's not in that area. But if the Dark Tower is destroyed normally. Yet if they travel to an area with a Dark Tower, they will then be powerless to stop him again. The only way to stop him is to Armor Digivolve..
Ken- Ken Ichijouji may seem like a nice kid, but underneath all that, he is the Digimon Emperor!! Ken is a genius when it comes to schoolwork. He's top in his class and the Digidestined first saw him on TV when he won a computer programming contest. And Ken isn't just smart he is quite althletic. In Fact, Ken is one of Davis' soccer rivals. Because Ken is smart, he thinks he's better than everyone else and looks down upon people, even his own parents. Ken- Ken is sorry for what he had done as the Digimon Emperor. Slowly, the other Digidestined accept him into the team. They all agree that he had been confused and didn't really mean it. 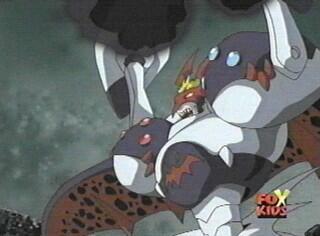 Stingmon (Ken's digimon) is now needed for a DNA digivolve with ExVeemon to make Paildramon. Although it is over, Ken still gets bad thought of the Dark Ocean and what he had done. Yolei seems to have a crush on him. Extra Info: Arukenimon is a master of insects. She is a spider digimon, but has the ability to take on a human female shape. 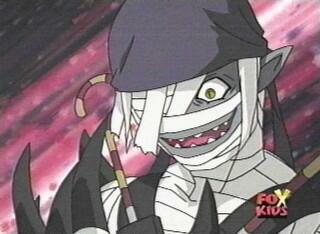 Extra Info:Mummymon is madly in love with Arukenimon. He rescued her when her defeat was close at hand by the DigiDestined. He has the ability to make himself look like a distinguished gentleman. Extra Info: Took several Control Spires to make him, he disobeyed Arukenimon. Extra Info: MaloMyotismon is the third form of Myotismon. He lived in Oikawa's body for three years until he had enough energy to come out and have revenge on the digidestined.